Practical Food Industry Guide from C.H.I.P.S. Combining a user-friendly format with expert guidance, Starches is designed to meet the needs of professionals in the food industry. It focuses on providing information that is currently unavailable in a single source and presenting its subject in straightforward language. 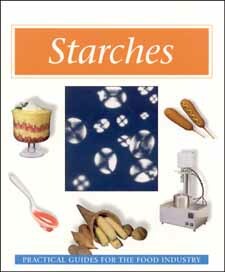 Starches is a complete, hands-on reference for anyone who works with starches or is looking for an answer to a question related to a specific starch application.. This volume is a valuable reference tool for a wide range of food industry professionals.